No. 13 (City of Napier) Squadron Air Training Corps is proud to serve the youth and wider community of Napier. The Air Training Corps is a military-style training organisation for New Zealand youth. Here at 13 Squadron we offer our Cadets opportunities in leadership, bushcraft, adventure, target shooting, aviation, comradeship and discipline. Find out more about what we do here, and if you like what you see consider joining us. 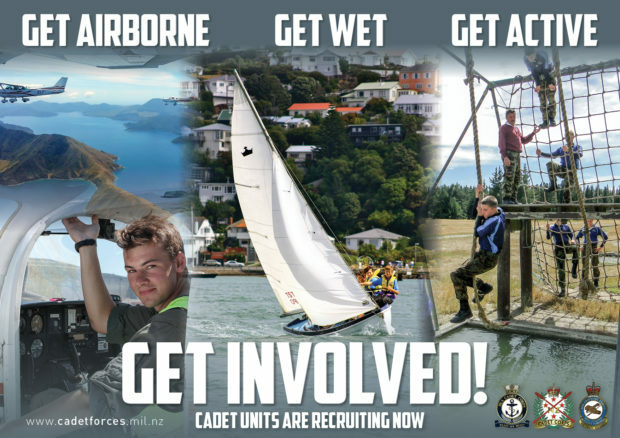 www.cadetnet.org.nzAccess CadetNet to update your service information. More information can be found here. Website by Flying Officer Jarren Beckett, NZCF. All rights reserved, No 13 (City of Napier) Squadron Air Training Corps (2019).